Toby T. Hecht, Ph.D., earned her doctorate in microbiology and immunology from the Albert Einstein College of Medicine. She did her post-doctoral research at Yale University before coming to the NIH where, among other accomplishments, she created a unique Hodgkin’s lymphoma-specific monoclonal antibody that was used in both imaging and therapy trials at the NIH Clinical Center and at the Beth Israel Deaconess Medical Center; and was instrumental in the development of ch14.18 (dinutuximab), an FDA-approved effective agent for children with high-risk neuroblastoma. Dr. Hecht has worked for over 36 years at the NIH, 27 of which were spent at the NCI in programmatic activities and biological agent development. She has also guided many projects (from conception to testing in the clinic) through the NCI Rapid Access to Intervention Development (RAID) program and the Drug Development Group program, which are now combined into a single NCI Experimental Therapeutics Program. Some of the agents have been licensed by pharmaceutical companies and have reached the marketplace; a few have become first-line therapeutic agents. In 2008, Dr. Hecht was chosen to oversee the transition of the SPORE program from the Office of the NCI Director to the Division of Cancer Treatment and Diagnosis (DCTD) to fully integrate the SPORE program into the translational science activities of NCI. She continues to explore new ways to promote collaborations among cancer translational researchers and to support the highest level of innovative research among both established and early career investigators. 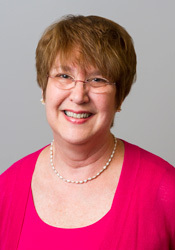 In November 2011, Dr. Hecht was appointed the Associate Director of the Translational Research Program, and in 2015 she was appointed the Deputy Director of DCTD.